Valtrex is well tolerated by the majority of patients. The most common Valtrex side effects are headaches, especially in younger patients. Individuals with HIV disease may also experience more pronounced and serious side effects in association with Valtrex, so it is important for these patients to discuss the pros and cons of this medication with their doctor. Other common side effects that have been documented include nausea, vomiting and dizziness. In rare cases, depression and kidney damage may result from Valtrex usage. Allergic reactions to Valtrex (valcyclovir) are rare. If you experience any of the following side effects, you may be having an allergic reaction and should contact your health care provider immediately. Other serious side effects may indicate a more dangerous underlying condition. Contact your doctor immediately if you experience any of the rare but serious side effects listed below. You may also experience physical side effects that are actually a symptom of depression. Headaches, pain and nausea that do not respond to normal treatment options can be a sign of depression. Seek help immediately if any of these symptoms apply to you. 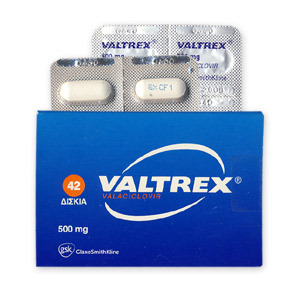 Valtrex has not been adequately studied in relation to pregnancy. This medication is considered a Category B pregnancy drug. This indicates that the side effects are not known, but the medication appears to be safe. If you are pregnant or plan to become pregnant, you should discuss the potential side effects as well as the potential benefits with your doctor to determine whether this treatment is right for you. Side effects associated with Valtrex rarely cause the patient to stop taking the medication entirely. In most cases, the side effects can be managed. Be aware of the more dangerous side effects associated with depression or kidney disease, and always consult your doctor if you feel that something isn’t right.